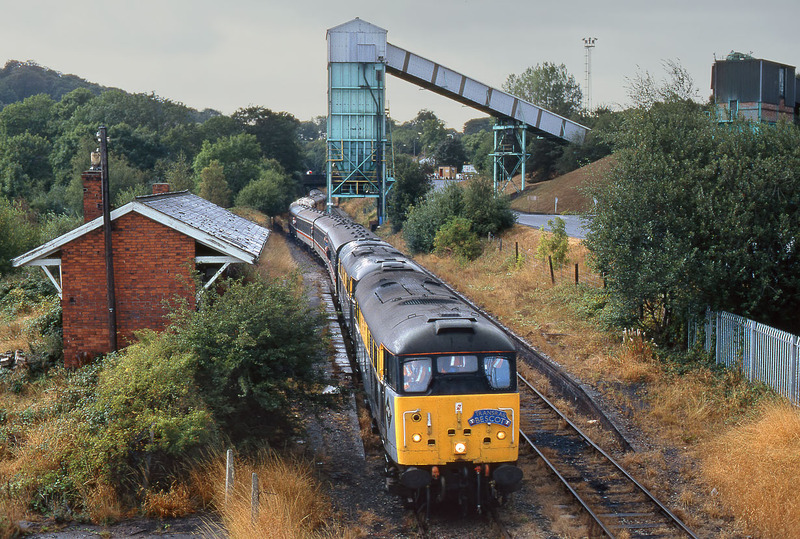 31106 The Blackcountryman & 31102 Cricklewood arrive at Silverdale Colliery on 27 August 1995 with the Hertfordshire Railtours 1T56 15:30 Crewe to Silverdale 'Lyme Chordial' railtour. Despite the station being closed in 1964, it was retained for use by train crew working to the colliery. The colliery closed in 1998, and the track has now been lifted.